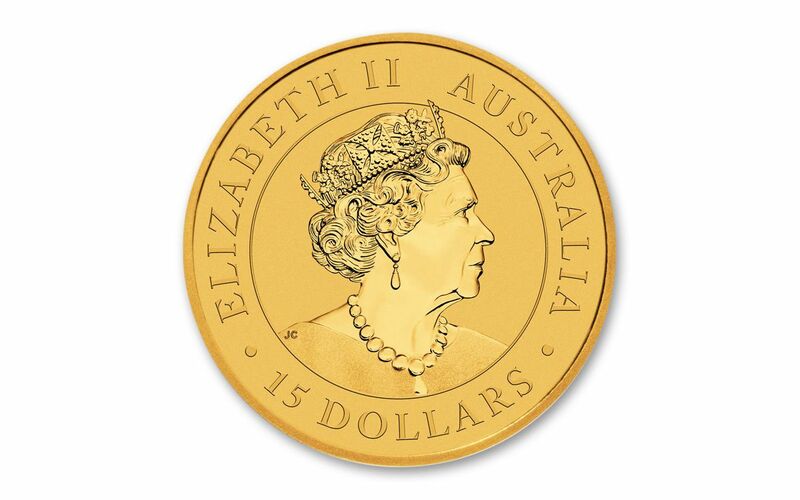 BEAUTIFULLY CRAFTED, HIGHLY PURE GOLD – As you can tell, this bullion is anything but boring! 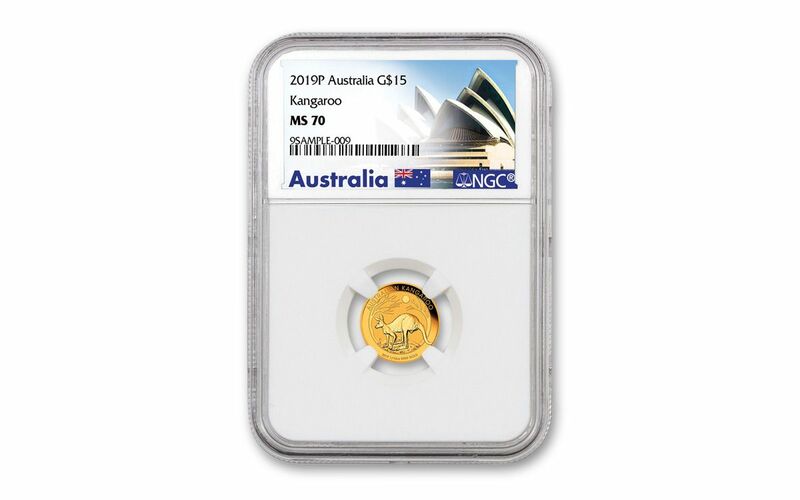 The artisans at the Perth Mint take extraordinary care in transforming tenth-ounce planchets of 99.99% pure gold into works of lustrous art. 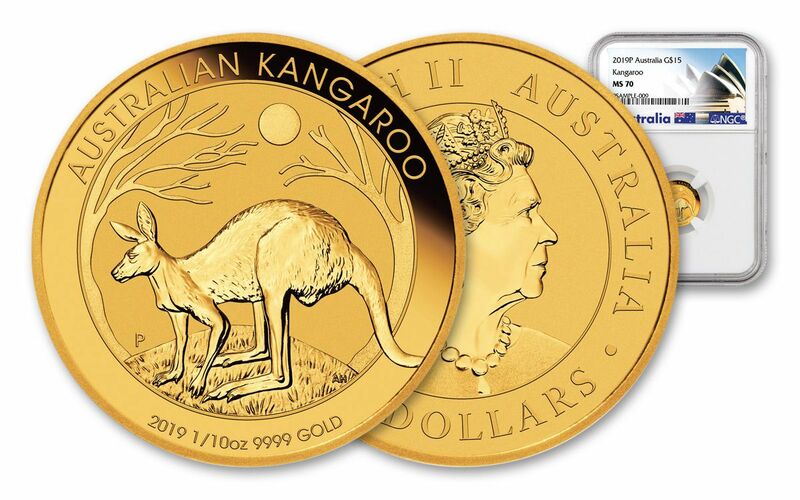 AUSTRALIA LEGAL TENDEER – Each 2019 Tenth-Ounce Gold Kangaroo is 15 dollars Australia legal tender, a fact exhibited on each coin’s obverse along with Jody Clark’s new portrait of Her Majesty Queen Elizabeth II – the sixth portrait of the current monarch to appear on Australian coins. 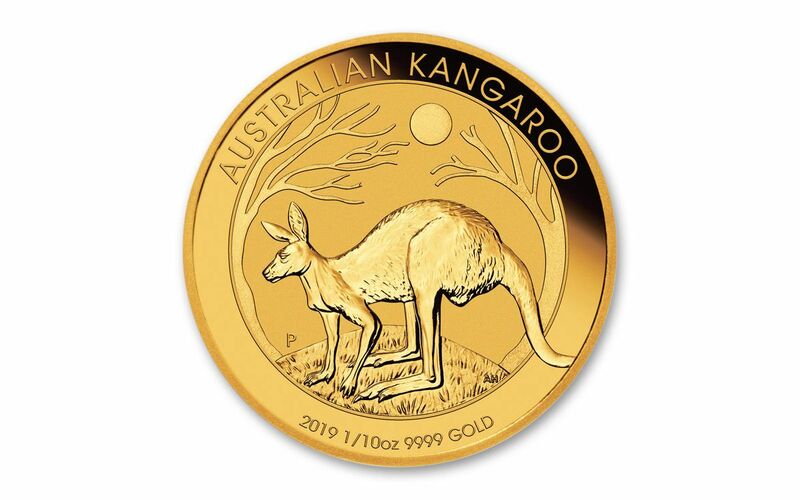 PERFECT UNCIRCULATED CONDITION – Your 2019 Gold Kangaroo has been graded by the Numismatic Guaranty Corporation (NGC) as being in flawless Mint State-70 (MS70) condition, a distinction that means your perfectly-graded coin will have ZERO imperfections – showing all features and fields exactly as the engraver and mint intended.